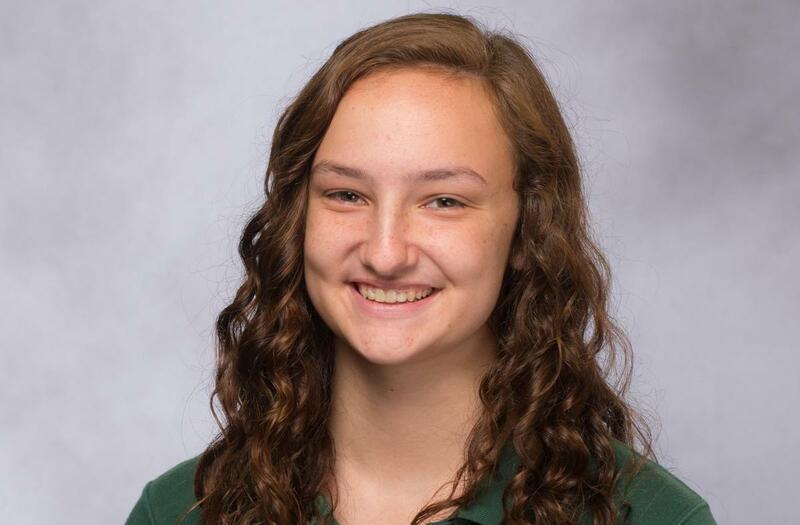 Senior, Tess Conner, shares about her time at Aquinas. Although academics are important, the initial reason I went to Aquinas was because it was a Catholic school. They have daily prayer and offer weekly Mass, but my faith has actually grown the most over the summer. I go on the Missionaries of Charity trip every summer with some other Aquinas students, and every year my relationship with the Lord is strengthened. I love working with the sisters because you can feel their love of Christ radiating off them. I love spending time with the kids not only because it's super fun, but also because you can see the face of Jesus in them. The mission trip is always one of the highlights of my summer, and one of my favorite opportunities Aquinas has to offer. Of course, high school is not only about the things you do but the relationships you make. Because Aquinas is so small, you know everyone in your class and practically everyone in the school. People often describe Aquinas as being a family, and for me, this is especially true of the drama department. I have been a part of the Aquinas productions since I was in eighth grade, and many of my closest friendships were formed during the spring musicals. These friendships were formed over a shared passion for creativity and many have lasted through graduations of older students. This year, I am writing and directing the winter one act play, and I am excited to entrench myself even deeper in the production process. I have always loved writing, and I feel like this is the perfect opportunity for me to test out my skills. I have been nervous about displaying my art to the world, but everyone in the drama department has already been so supportive of it, which helps me to keep pushing forward with it. The opportunities that Aquinas offers have shaped me as a person, and allowed me to grow as an individual. Not every student will have the exact same experience as me, but everyone gets the chance to excel in doing things they love. I have explored my passions at Aquinas and will continue to do so through the remainder of my senior year.